Make trailer towing easier with a Trimax adjustable ball mount. You'll never have to go hunting in the back of the truck bed for your drop mount, Trimax is that, and so much more. Boasting a 10,000lb tow rating & 1,000lb trailer tongue weight, the Trimax doesn't just look pretty, it works hard too. Available in 4", 6", 8" and 12" drop lengths, and with the ability to adjust in 1" increments, there is certainly no situation that these guys can't tackle. Another excellent feature is the ability to flip the drop mount upside-down, allowing it to become a raised mount, which makes it even more versatile. 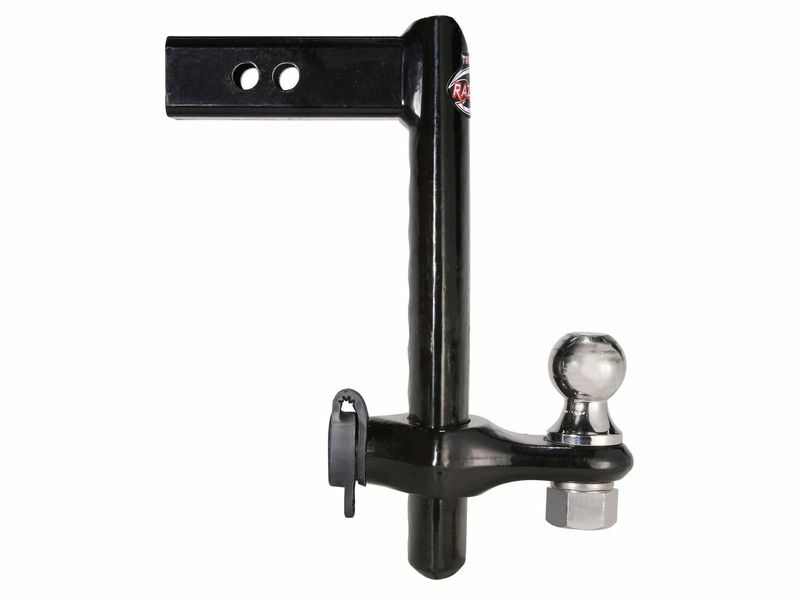 Most Trimax adjustable ball mount also includes a 5/8" locking pin that is keyed to match ball mount lock. No matter what season, there's always a need to tow, and a versatile mount can be your best-friend. Trimax adjustable ball mounts fit the bill perfect, are tough as nails, and are available right now. Get yours today, and get towing. This product is fully warranted to be free of mechanical defects for the life of the product. This warranty does not cover normal wear and tear associated with the product's use. If a mechanical defect occurs, contact Trimax for instructions on how to have it replaced or repaired free of charge. This warranty is null and void if the lock was used for purposes for which it was not designed. Trimax/Wyers Products Group is not liable for incidental, indirect, or consequential damages. Some states do not allow the exclusion or limitation of incidental or consequential damages, so the above limitation or exclusion may not apply to you. This warranty gives you specific right, and you may also have other rights that vary from state to state. Trimax adjustable ball mounts install in a 2" receiver hitch. The ball mount can be be easily adjusted up or down. If you have any questions, please don't hesitate to give us a call at 877-216-5446 or 701-253-5906.